Cameras are now rolling on the new sitcom fromThe Office actor Mackenzie Crook. Written and directed by the Pirates Of The Caribbean star, Detectorists is a six-part comedy for BBC Four about two friends who share a passion for metal detecting. The show will star Mackenzie Crook alongside The Hunger Games and Harry Potter actor Toby Jones. The duo play Andy and Lance, a pair of metal detector enthusiasts who act like an old married couple when they're together. Producers explain: "They gripe at each other, but there is a true bond underneath. Each has their own slightly dysfunctional lives but together they dream of finding a priceless Saxon hoard that will cement their place in detecting history." The BBC adds: "Helping them along the way is a delightfully quirky crowd of characters who are drawn to this all-absorbing hobby. Across the six episodes, greed, betrayal, rejection and finally redemption are all played out as the boys and their eccentric friends at the Danbury Metal Detecting Club search for that one big find." Detectorists will be filmed in Suffolk, Norfolk and Essex during June and July, with Rachael Stirling (Boy Meets Girl), Aimee-Ffion Edwards (Walking And Talking) and Lucy Benjamin (Lisa Fowler in EastEnders) amongst the cast joining Crook and Jones on set. 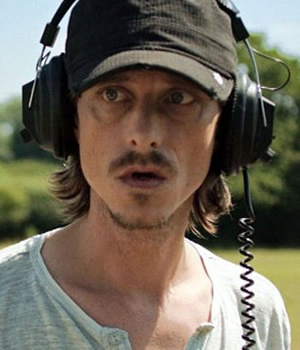 Mackenzie Crook, himself an occasional detectorist, says: "This is my first time directing but, though it's sometimes nerve wracking, I'm confident that I have an incredible team to rely on. I have managed to gather my ideal cast. Toby, Rachel, Aimee-Ffion and Lucy are all actors I've worked with before and I know I'm in safe hands. For years British television has been screaming out for an archaeology based sitcom... hasn't it?" Executive Producer Kristian Smith comments: "Mackenzie's scripts take us into a charming world that many of us haven't seen before. They are smart, funny and beautifully observed." Adam Tandy, the show's producer, adds: "There is a little bit of the detectorist in everyone, whether or not they care to admit it, so it's glorious to be out in a field actually swinging equipment at last." Detectorists will be shown on BBC Four in late 2014.